Overview - Hongshang Heat Shrinkable Materials Co.Ltd. Hongshang Heat Shrinkable Materials Co..LTD.
Hongshang Heat Shri nkable Materials Co..LTD. is one of the few enterprises in China that can provide a full range of business solutions from design, development, production and service about cable accessories for the energy and electricity enterprises. Hongshang was established in 1994. It is a national high-tech enterprise, the qualified unit certificated by ISO9001: 2000 quality management system, the member of Chinese Isotope and Radiation Profession Association. Our products covered the whole series of heat shrinkable cable accessories, cold shrink cable accessories, cast resin cable accessories, etc. Products comply with EU RoHS environmental standards and are widely used in medium-voltage & low-voltage transmission and distribution and insulation protection, as well as electronics, telecommunications, automobiles, ships and military and other industries. With high-quality products and services, we have established close business relationship with many world-renowned enterprises. Our products are exported to more than 60 countries and regions. Hongshang brand has become the symbol of "high-quality cable accessories supplier" . 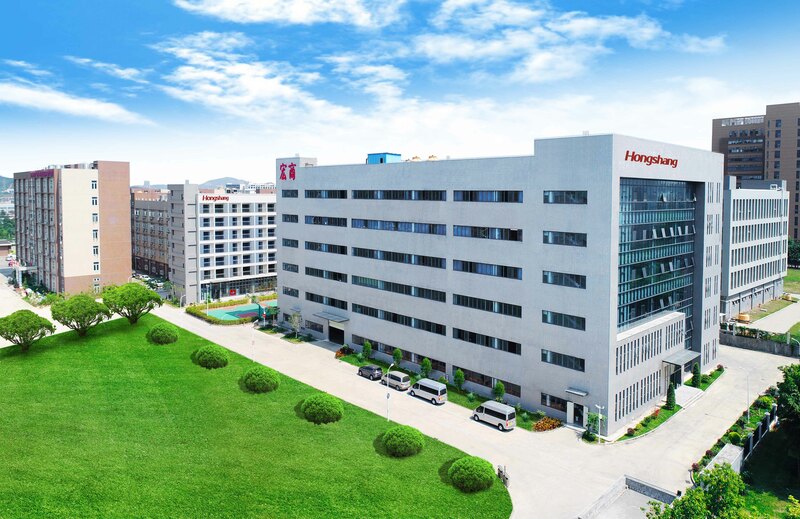 We invest a lot of money each year in new product research and development, and built Hongshang Research and Development Center based radiation modified polymer materials. Led by the doctoral tutor who Won the State Council special allowance and was the researcher at the Chinese Academy of Sciences, the R&D team has more than 60 people including a number of senior engineer, doctor and master. 2000 square meters R&D center includes polymer material mechanics, chemistry, thermal analysis and electrical testing laboratories, medium voltage cable accessories laboratories and pilot workshop. As a result, we have systemic research and development capabilities from materials development, product structure design, product performance analysis to new products trial production. In 2008, we have built up 100,000 square-meter high-tech industrial park with the more complete production lines from raw materials, compounding, extrusion, radiation crosslinking and expansion to packaging. In 2015, the headquarters moved to Baolong High-tech Park. With commitment that Reliable through Honesty, Trust, Effective, and Superior Service, we accompany our customers into the world’s growth markets so that we can be a reliable partner close to you.